Office Space - Darien, Connecticut. Introducing several elite executive suites replete with cutting edge technology including T1/PRI, touch pad entry for 24-hour access, and the latest in modern business facilities. These plush offices to lease are fully furnished and provide the full spectrum of administrative support staff. 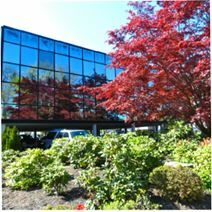 All clients benefit from the superb location in Darien just off I-95 and only a few seconds walking distance to gourmet restaurants and shopping.